Protocol For Life Balance® develops and manufactures effective, science-based formulas designed to address nutrient deficiencies and support healthy physiological function. Their experienced technical staff includes biochemists, microbiologists, nutritionists, chemists and food technologists who utilize current science and the latest nutritional parameters to formulate efficacious, high quality affordable solutions designed for optimal health support. Their natural health products are formulated with well researched ingredients that must pass rigorous testing to ensure relevance, efficacy, quality, and identity. All products are manufactured in a state-of-the-art GMP facility and are in-house and independently third party tested to ensure bioavailability and potency. Protocol For Life Balance® products are routinely requested for clinical trials conducted at top universities and research centers. Recommended product dosing is based on clinical trials and published data. Designed to meet the health and wellness needs of patients, Protocol For Life Balance® products are available solely through licensed healthcare practitioners. 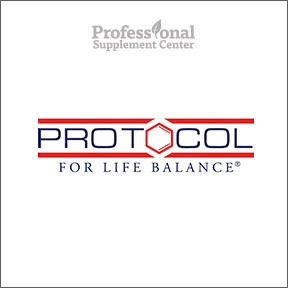 Please visit professionalsupplementcenter.com to view the full line of products from Protocol For Life Balance®. Progesterone Cream – This liposomal skin cream is designed for the safe and natural support of women’s hormonal health. The unique formula contains USP Grade natural progesterone derived from wild yam, along with select vitamins and a balancing herbal blend. Provides 20 mg of natural progesterone per dose in an easy to use pump dispenser. Gluten free, vegan formulation. No parabens or artificial colors or fragrances. Bone Support Formula – Formulated for comprehensive bone support with microcrystalline hydroxyapatite (MCHA), a source of highly absorbable calcium and phosphorus, the major mineral components of bone. One serving provides 2,667 mg of MCHA, plus vitamins, magnesium and trace minerals to aid in the synthesis and maintenance of bone tissue. Gluten, soy and dairy free formulation. Liquid B12 5000 mcg – This formula supplies liquid B12, plus the full complement of synergistic B vitamins in support of cellular energy production, healthy homocysteine metabolism and a healthy nervous system. Gluten and dairy free, vegan formulation. This entry was posted in Home and tagged Bone Support Formula, Liquid B12 5000 mcg, Professional Supplement Center, Progesterone Cream, Protocol For Life Balance, Vitamins and supplements, www.professionalsupplementcenter.com. Bookmark the permalink.